Bhopal is the capital city of the central Indian state Madhya Pradesh. It is known as the city of lakes as it is home to various natural as well as man-made lakes. It is also one of the greenest cities in India. Some of the top sights in Bhopal are the tribal museum, state museum, Taj-ul-masjid, Jama Masjid, Gauhar Mahal, Rock Shelters of Bhimbetka, Dhai Seedi Ki Masjid and so on. Some of the top colleges in Bhopal are The National Law Institute University, Central Institute of Agricultural Engineering, Maulana Azad National Institute of Technology, National Institute of Fashion Technology and many more. Bhopal’s major economy is dependent on industries like electrical goods, medicine, cotton, chemicals, and jewellery. One can find many artisans in Bhopal. They produce beautiful and rich handicrafts. If you are looking for instant financial help, you can take a personal loan in Bhopal. You can finance your personal requirements like travel or wedding expense, home repair expenses, to buy a new phone or a car, to pay during medical emergencies, for balance transfer or debt consolidation and so on. Instant personal loans are paperless which require minimal documentation. These loans are unsecured hence you don’t need to show any asset ownership proof. How to Apply for Personal Loan in Bhopal? The entire application process to apply for a personal loan in Bhopal is simple and can be done via a phone app. Download a loan app like CASHe on your smartphone from Google play store or Apple app store. Register yourself on the app and enter your basic details to complete your profile. Enter the loan amount you require. It can range from ₹10,000 to ₹1 to 2 lakhs. Then comes the duration of the loan. It can be 15, 30, 60 or 90 days. Check the interest rate on the loan amount and then proceed further. You will have to submit the documents on the loan app itself. This includes your identity proof, address proof, and income proof. The documents valid for a personal loan in Bhopal are – pan card, aadhar card, driver’s license, passport, rental agreement, utility bills, salary slips, and bank statements. Once you upload all the documents, submit your loan request. The app will take some time to review your request. Once your loan is approved the money will be transferred to your personal savings account. You can repay the loan amount on your due date by bank transfer or by cheque deposit. Almost all the working professionals or business owners are eligible to take a personal loan in Bhopal. You have to be between 23 years to 58 years old. You either have to be a salaried employee or own a business which is in existence since past 3 years. The documents required to submit for a business owner to avail a personal loan in Bhopal are bit different. You have to submit your business ownership proof, business profit and loss statement along with utility bills of the office address. 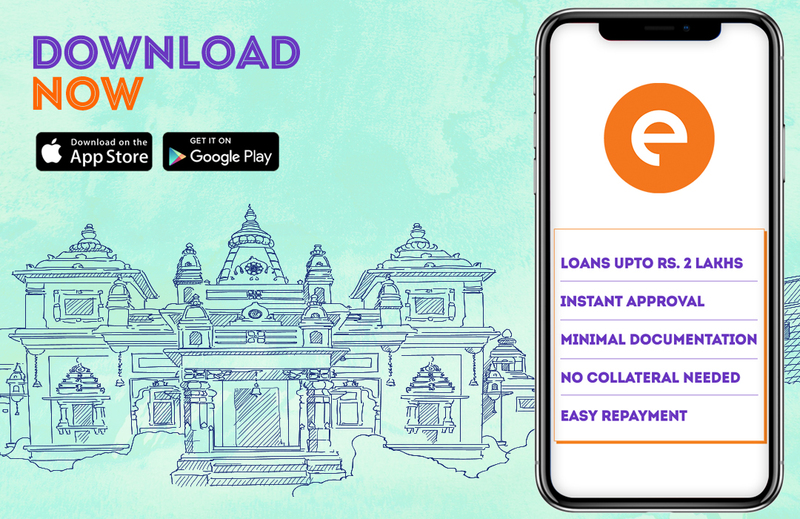 If you are looking to avail a personal loan in Bhopal, check out one of the leading Loan App in India – CASHe that offers quick loans at hassle-free process. Wondering how to apply? Read here to know more about how to apply for a personal loan.